Research aims to answer the question of what drainage schedule is optimal for mesothelioma patients and others coping with pleural effusion. Doctors conducting the Protocol of the Australasian Malignant Pleural Effusions-2 (AMPLE-2) trial are hoping to finally be able to settle the debate over how often pleural catheters should be drained. Surviving Mesothelioma has just published an article on the new study. Click here to read it now. Pleural effusion, or buildup of fluid around the lungs, is a common and life-limiting side effect of malignant pleural mesothelioma. Indwelling pleural catheters (IPCs) offer a novel way to deal with the problem, but there are still questions about their optimal usage. Investigators in Australia and Asia plan to test several different drainage schedules, including daily, weekly and monthly, in mesothelioma patients and others with IPCs to determine the safest, most effective, and most efficient regimen. “The primary outcome is the mean daily dyspnea [shortness of breath] score, measured by a 100 mm visual analogue scale (VAS) over the first 60 days,” explains lead investigator Dr. Maree Azzopardi of Sir Charles Gairdner Hospital in Perth. 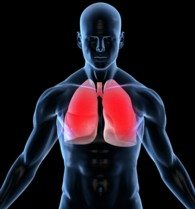 “This study is poised to answer some questions that are very relevant to many mesothelioma patients who are trusting IPCs to help alleviate the discomfort, fatigue and shortness of breath associated with pleural effusions,” says Alex Strauss, Surviving Mesothelioma’s Managing Editor. For a more detailed explanation of AMPLE-2 and its potential impact on mesothelioma care, see Mesothelioma Symptoms: Best Management for Pleural Effusion, now available on the Surviving Mesothelioma website.